Queensland’s legacy solar feed-in tariff program, the Solar Bonus Scheme (not to be confused with the NSW scheme of the same name), will not be prematurely axed. Early adopters of solar power systems who applied for the Queensland Solar Bonus Scheme before 10 July 2012 and maintain their eligibility receive a feed-in tariff rate of 44 cents per kilowatt hour for exported electricity. Premier Annastacia Palaszczuk rejected the Queensland Productivity Commission’s recommendation to end the scheme early due to what it said was the impact on electricity prices. “My Government has already taken firm action to stabilise electricity prices,” Ms Palaszczuk said, stating that under the first 2 years of her government the average annual electricity price increase for households will be just 1.2 per cent. “This compares to an increase of 43 per cent over the term of the Nicholls-Newman Government. For small businesses, the average annual increase is just 3.8 per cent, compared with an increase of 21.9 per cent over the term of the previous LNP Government. This is proof that the Government’s efforts to restrain and stabilise electricity prices are working,” the Premier stated. It’s been reported the Government has also rejected recommendations that Scheme participants should lose their feed-in tariff if they install battery systems; an issue that may have been preventing some Queensland solar households from acquiring home energy storage. Queensland’s Solar Bonus Scheme is legislated to end on 1 July 2028. The Premier also announced various other reforms related to electricity yesterday, including providing more than 150,000 additional Queensland families a rebate on their power bills. While Queensland’s Solar Bonus Scheme is safe, over the border in NSW the end of the program of the same name is set in stone. Participants who joined the New South Wales Solar Bonus Scheme prior to May 2011 will start receiving an unsubsidised tariff rate of 4.7-8c per kWh on average from January 1 – and only for surplus electricity exports from their solar power systems. This could have a significant impact on many of the 146,000 households participating in the scheme and in most scenarios, a meter change is required. While the end of the year is rapidly approaching, New South Wales Solar Bonus Scheme participants who haven’t yet done so should be taking steps now to minimise the impacts of the reduction. 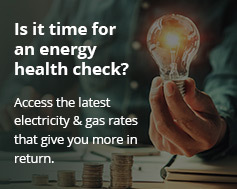 Energy Matters has published a guide on the changes and some recommended actions, plus developed a calculator that indicates what the financial impact on a participant may be.